There’s a phrase that I’ve heard quite a lot in recent months, but particularly since the election and subsequent inauguration of the new President. “This is not normal.” Recite it like a mantra, and continue to remind yourself that those day-to-day pleasures and sense of comfort have given way to a general unease at the state of our country and world. These are dark times, indeed. And we need art and culture more than ever to help us survive and ignite our will to fight for our causes and against injustice. 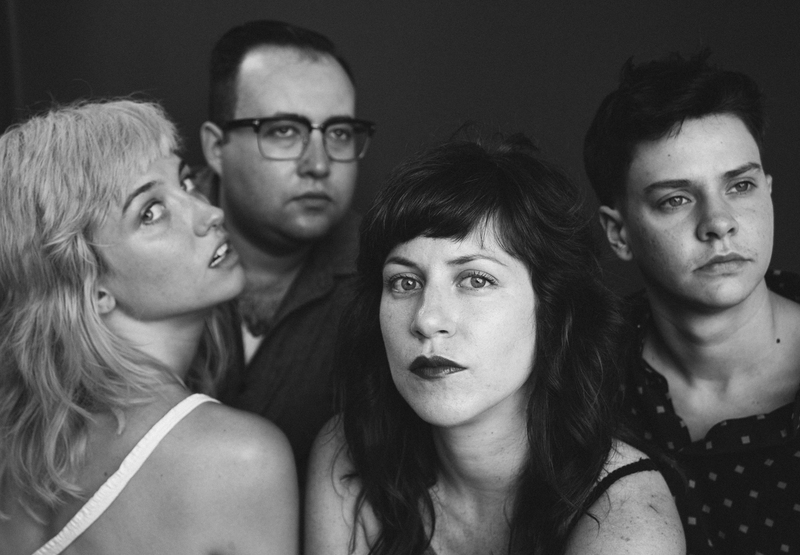 Enter the Washington D.C. punk band Priests. Not only do they present a voice of dissent direct from our nation’s capital, but their debut album Nothing Feels Natural might as well be another way to tell the world “this is not normal.” Of course, despite its timely release, the album was written and recorded well before the terrifying political events of the last couple months. It just seems awfully prescient given the state of our world today. Yet Priests are less of a political band and more of an anti-establishment band, raging against oppression of any type no matter which side of the aisle it falls on. They’re pushing back against the idea of normal, which means different things to different people. And they’ve never sounded more confident. While it’s relatively easy to classify Priests as a punk band because of their ethos and hard-charging guitars, Nothing Feels Natural feels a little like a departure from the EPs and singles they’ve released in the past. Their sound has become much more nebulous, incorporating a wide variety of elements from a multitude of genres thereby making it more challenging to classify. That’s by design, and it’s part of what makes this band so unique. There’s little regard for adhering to any sort of convention or mining familiar territory unless there’s a real reason to. Part of the fun is guessing where they’ll go next, which is why one minute you’ll get distorted guitars and Katie Alice Greer singing like she’s about to die, and then the next minute you’ll have a full orchestra rising to a gorgeous, jazzy instrumental. Surf rock and saxophones get their due as well, because why not? Varied though the listening experience might be, there’s a very visceral nature to the entire record that holds it steadfast and commands your attention. You can tell they believe in what they’re doing, and understand that even if one fight ends, another one has already begun. We’re all very lucky a band like Priests exists to inspire and remind us that we make our own paths in this life, so stay true to yourself and forget what you think you know about being normal or natural. P.S. – $1 from every ticket purchase goes to Casa Ruby, which helps the LGBT community in the Washington D.C. area.